What’s More Manly Than Man Comics? Because there’s nothing more MANLY than lying prone on the ground and firing a gun! Seriously, that is the epitome of manliness. 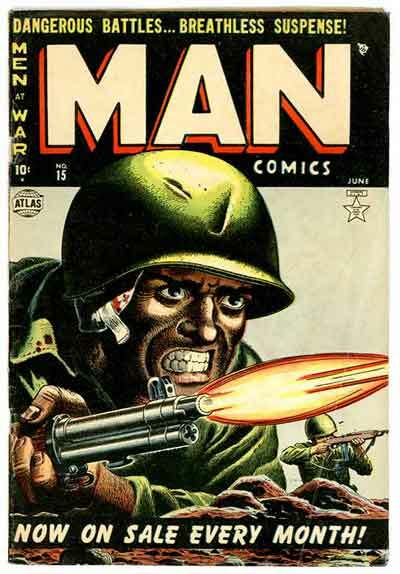 So much so, that apparently MAN Comics could compose a cover any other way for fear of coming off as somehow less manly than the previous covers. Don’t believe me? Check out the next cover. Wheaties: The Trap Bait of the Japanese.